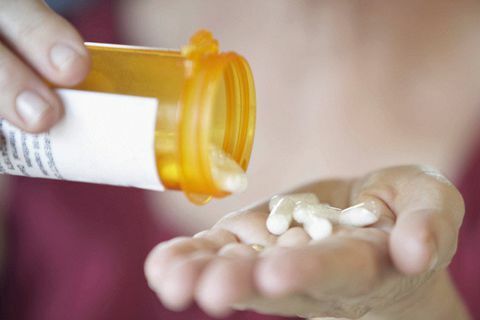 Canada’s prescription-drug prices are among the highest in the world. Canada's brand-name pharmaceutical companies are pushing back against a plan to overhaul Canada's drug-pricing regulator, saying they are keen to forge a compromise that would reduce prices, but not to a degree that could be "crippling" for the industry. The president of Innovative Medicines Canada (IMC), which represents more than 45 companies, is planning to warn in a speech on Tuesday that her industry could struggle to invest in high-risk innovation, hire top talent and run local clinical trials if companies are forced to slash their prices too deeply, too quickly. The speech will mark the pharmaceutical industry's first substantial public response to the Trudeau government's efforts to reform the Patented Medicine Prices Review Board, the quasi-judicial body that is supposed to keep a lid on Canada's prescription-drug prices – which are among the highest in the world. Read also: Will Ottawa's plan lower Canada's high drug prices? When then-health minister Jane Philpott unveiled her government's plan to reduce "unacceptably high drug costs" last May, she called it the "most significant suite of [proposed] changes" to the country's drug-pricing regime in more than 20 years. "I'm really concerned about the balance here," Pamela Fralick, the president of IMC, said in an interview on Monday. "Our concern is that if the focus becomes somewhat unidimensionally on cost, on the price itself of the medicines, that will limit the ability of member companies to invest as much as they do [in Canada.]" The question of how much Big Pharma actually invests in Canada has been hotly disputed for years. The board was set up in 1987, when Ottawa beefed up patent protection for new drugs in exchange for a promise from the pharmaceutical industry to invest the equivalent of 10 per cent of revenue in research and development in Canada. The review board was supposed to stop drug makers from using their strengthened monopolies to set "excessive" prices; it can order rule-breaking companies to drop their prices and pay the excessive revenue to the federal government. However, companies that fail to meet the 10-per-cent research and development target face no penalty. As Ms. Fralick speaks to the Economic Club in Ottawa on Tuesday, IMC is scheduled to release a report from EY (formerly Ernst and Young) that concludes IMC members satisfied the 10-per-cent goal last year – if the definition of research and development is expanded well beyond the one the board has used for 30 years. Critics of Big Pharma immediately cast doubt on EY's findings, pointing out that the board's most recent annual report, released last week, put the figure at 4.9 per cent for IMC members and 4.4 per cent for the makers of patented drugs over all. "The [pharmaceutical] industry routinely does this. What they do is they have a consulting firm collect confidential, secret data self-reported by industry stakeholders and then publish a report that is quite inconsistent with the public record," said Steve Morgan, a professor in the school of population and public health at the University of British Columbia who reviewed the EY report at The Globe and Mail's request. "I see this as a smokescreen." IMC argues the price review board's definition of research and development is too narrow. It includes only investments that qualify for the scientific research and experimental development tax credit, which covers investments in basic research, clinical trials and the drug-manufacturing process. The EY report says IMC members would reach the target if the definition included things such as drug-company-funded research conducted after a drug is approved and donations to health charities and universities for research. But Matthew Herder, the director of the health law institute at Dalhousie University in Halifax, said that without seeing the underlying data IMC provided to EY, it is hard to separate the postapproval studies that seek to monitor the safety and efficacy of medicines from those designed to persuade doctors to prescribe more of a company's new drug. "I think you have to take these numbers with a grain of salt, because we really can't figure out how much of that stuff is real R&D that is useful, versus stuff that is actually promotion and marketing masquerading as research," said Dr. Herder, who also reviewed the EY report. The government's proposed regulatory changes to the drug-price review board are expected to be published this fall, with new rules in place by the end of next year. The changes would remove the United States – which has the highest drug prices in the world by far – and Switzerland from the list of countries the board uses to benchmark prices, and add countries where drugs tend to be cheaper. The proposed reforms also favour putting less weight on international price comparisons and more on a drug's value for money. Ms. Fralick told The Globe the industry is keen to find a middle ground, as drastic price cuts could be "crippling" for drug companies.